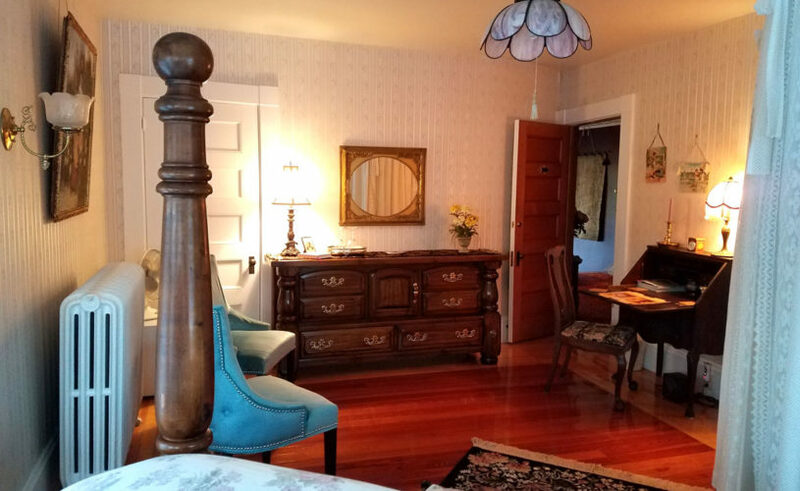 The “Amethyst Turret” is truly a romantic second-floor honeymoon room in the octagonal turret of our coastal Maine bed and breakfast. 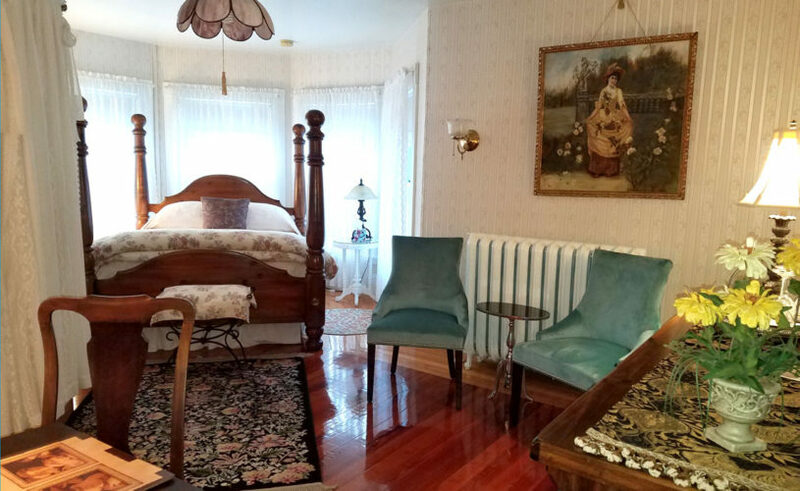 The accommodation is decorated with a large cannonball four-poster queen bed, lace curtains, hardwood flooring, and light wallpaper with amethyst accents that give the room its name. Heavy, dark furniture, including a tapestry-covered Victorian fainting couch, complete the setting, bringing its guests back to a slower, more relaxed era. The Amethyst Turret also features a private, open-style bath that is reminiscent of a lacy gazebo. 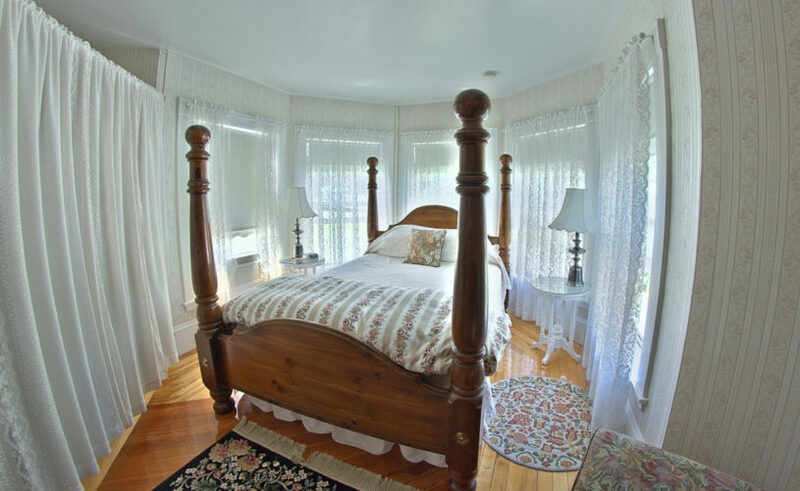 The bath has a corner glass shower and pedestal sink, standing behind floor-to-ceiling lined lace curtains.